Hi Dosto, Today we will talk about How To Start A CCTV Camera Business. The CCTV Camera business is about to provide security surveillance system service to your clients business or residential purpose. According to analyzes of Associated Chambers of Commerce and Industry of India, video surveillance and CCTV market in India is growing at an annual growth rate of around 30 percent. Currently, CCTV Camera business has huge potential in India and globally. Due to increasing demands from areas such as the hospitality industry, services, healthcare, retail, manufacturing, and transportation, CCTV camera industry is going to emerge as a huge market in the next few years. In order to start CCTV camera, business entrepreneurs should have enough information about the current technology of various cameras and systems. CCTV camera security system and an entrepreneur living in metro or suburban city can start this venture with medium capital investment. Strong marketing strategy and hard work are necessary to achieve success in this business. So let's begin how to start a CCTV Camera Business In Hindi. Before starting CCTV Camera business In Hindi, it is important to write a business plan. Decide which specific products you deal with. Who will be your target customer? What areas will you meet? Calculate the startup budget. Calculate the expected return. 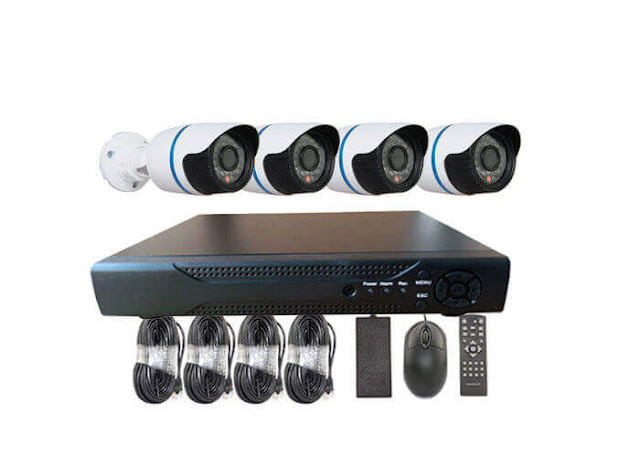 Powerful surveillance equipment in public places such as commercial banks, casinos, airports, military base, supermarket, hypermarket, railways, shopping mega mall, jewelry store, corporate houses, factory, plant, warehouses, police stations, the court of CCTV camera Is widely used in the form. Now the Government of India has started coming up with strict provisions of CCTV Surveillance installation in cities and colleges. You must first learn everything about CCTV camera. What will be monitored on the site, or at an off-site location? If this is an off-site location, how will you transmit the image? What kind of camera will you install? All CCTV cameras are classified according to their applications only. PTZ Camera: PTZ means Pan, tilt, and zoom and this is a specific surveillance security system. PTZ cameras are extremely sensitive cameras. They detect motion, sound, and change in heat signature and become active. After detecting Motion, sound, changes in heat signature, they focus on the track record of changes in their area of monitoring. PTZ cameras are self-activated at the time of change. PTZ cameras can warn the system human monitors. IR Camera: IR means an infrared camera. These cameras are used for night vision. Only IR cameras are used for Night Vision purposes. Even in the dark, anyone can see the right movement of things through Night Vision Cameras. Images of Night Vision Cameras are quite reliable, clear and sharp. Dome Cameras: Dome cameras can be easily equipped with buses, trains, tunnels. IP Cameras: IP is an internet protocol. IP cameras can be synchronized with mobile phones with the help of broadband internet connections. There is a large market of IP cameras in India. The IP is an internet broadband infrastructure with which cameras can be easily equipped. Weatherproof Camera: Weatherproof cameras are widely used in the location of traffic sign check for roadside surveillance. The weatherproof camera is strong. Register your business. Apply for Trade License and Pan Card Open a current account. Always remember, in this business, you will always be attributed to everything (good/bad) of your clients. Publish the advertisement in some newspapers. Register your business with both free and paid portals. Create your own business website. Often check your customers about the service. You can advertise on Facebook.